In my last blog round-up, I mentioned that I booked a last-minute flight to Seoul, South Korea while I was still in Hong Kong in which made my May 2018 full of travels! It was a month of reminding myself who I am – A person who continuously looks for new experiences and embraces life spontaneously. My May 2018 blog round-up isn’t just a summary of what I did this month. I also include my some new discoveries in Shanghai, which is the city I live in at the moment, so don’t dismiss the post because there’s useful information! 2 new cities, 1 travel conference and many new friends have led me to more opportunities. I also pushed my boundaries to see how much I can achieve with the blog while maintaining my piano teaching job. I try to make more videos (SUBSCRIBE! ), and my blog visitors have DOUBLED since last December –Remember these little victories along the way! We left Hong Kong on the first day of May. Before we left for the airport, we visited the Big Buddha. It turns out to be a great attraction to make it our last stop – beautiful views, fresh air, and super convenient to get to the airport. 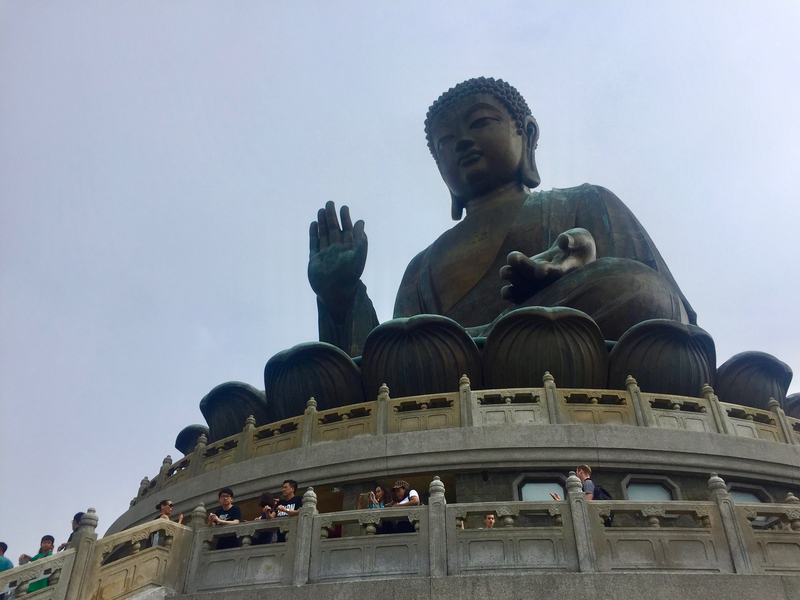 Read my 3-day Hong Kong itinerary if you’re planning a trip to Hong Kong! Jim had to go to Seoul for a business trip the day after we went to Hong Kong, so I took the advantage of having a free place to stay and spontaneously went to Seoul. It was my first time going to South Korea, and although the visit was very short (2 days!) I saw as much as I could! Aside from eating the mandatory traditional Korean food, street food, and BBQ, the most memorable was walking around in Myeongdong (明洞), Bukchon Hanok Village (北村韓屋村), Samcheong-dong coffee street (三清洞咖啡街), and Insa-dong art street (仁寺洞藝術街). Also, I got to catch up with my old friend Samuel, who is a ballet dancer at Universal Ballet in Seoul and has lived in South Korea for 10 years! Only a 30-minute high-speed train ride away, I was floored by Suzhou’s charm and how easy it was to get there from Shanghai. A round-trip journey is only 70+ RMB! I also love how cheap the food is over there. When we were in Suzhou, they were cleaning the canal that goes through the city, so the city wasn’t at its best presence. That being said, I’m definitely going back again after they finish the cleaning! I love their old town, too, and the pace of the city is much slower than Shanghai. One of my favourite spots is Jinji Lake (金雞湖) – It’s a great place for evening walks. Plus, Eslite Bookstore (誠品書店), Taiwan’s biggest bookstore chain has its flagship store near the lake, which calmed my homesickness. Visiting Suzhou was a much-needed escape for me. 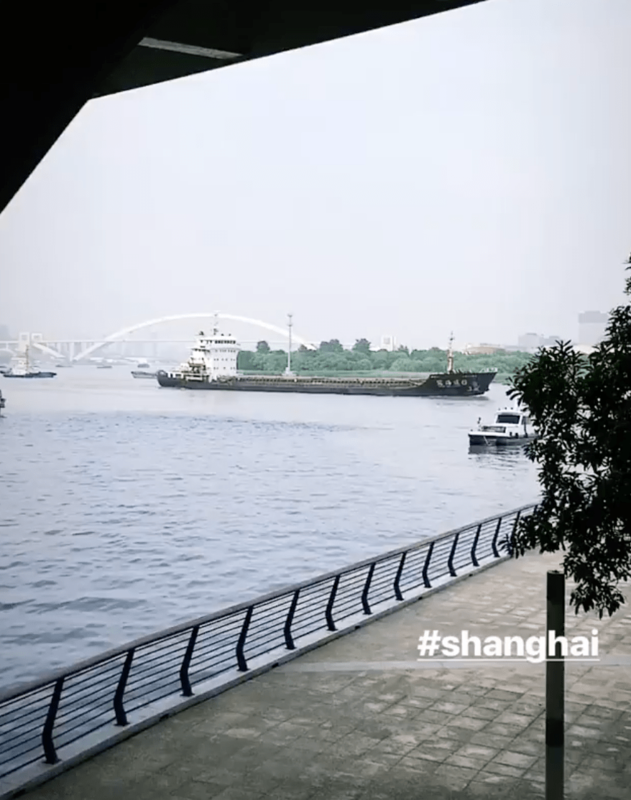 May was a big month for me to connect with the travel community in Shanghai and around the world. Meeting avid travellers and those who devote themselves to create better travel experiences for people always energises me. I went to ITB China! If you don’t know what’s ITB China, it’s a 3-day travel trade event that’s associated with ITB Berlin, which is one of the biggest travel trade show. ITB China was my first travel conference, and I got to meet representatives from different tourism boards across the globe. I learned so much simply by speaking with them, and I got so much inspiration! A new friend introduced me to the representative of Zürich, Switzerland, and we got some delicious waffle rolls filled with Swiss chocolate! I also got a bunch of travel information from all over the place! Slovakia gave me a whole guidebook and said they only give it to “special guests.” I also learned a lot about Lviv, the cultural capital of Ukraine – Did you know that Mozart’s son lived there? (Hence, they have Mozart summer festival!) There are also tons of other cultural events. I was intrigued and would love to visit! In addition, I got music recommendations from the representatives of Lisbon, Portugal and Sarajevo, Bosnia. I also learned about the upcoming music festivals in Penang, Malaysia and how to play a traditional Brazilian instrument! I was having lunch at one of my usual go-to restaurants. Before I left, the waitress gave me a ticket to a musical and asked me if I was available that evening. “We’re giving out free tickets to our old customers. It’s a musical about love and relationship. I think you would enjoy it.“ Although I never understood why she thought I would enjoy that topic, I happily accepted the ticket and went to the show. It was my first time watching a Chinese production. The whole show used a lot of technology and the actors are okay singers, but the music? Terrible. The musical was about a girl who has Alzheimer disease and couldn’t remember her current boyfriend but only her ex, who’s a married man. The girl comes from a rich family and her father owns an architect firm. The boyfriend is a young architect who has no money and a mother who’s addicted to plastic surgery. Her parents don’t approve of their relationship, and of course, the boyfriend is devastated that her memory is getting worse each day. In the end, the boyfriend’s best friend and her former manager (who came out of nowhere) helped to sneak her out of the hospital, so the boyfriend could take her to Greece. And somehow, the former manager hooked up with the doctor. Completely random. I hate to say this, but the show was so stereotypical Chinese. From the music to the story plots to the mentality and outlook on family values. There were just too much of everything: Random side stories, a lot of yelling and getting into fights, and of course, a lot of crying. The only thing I liked about this show was the venue. The musical was performed at Majestic Theatre (美琪大戲院). The theatre was built in 1941 – famous USSR ballerina Galina Ulanova had performed there. One thing that’s fascinating about Shanghai is how fast new businesses appear and disappear. A new bookstore was opened in the famous Sinan Mansions – Sinan Books (思南书局). We discovered it before we went to try Fatburger – the American fast-food chain I never tried despite visiting California multiple times between 2008~2012. It was pricey (in Shanghai at least), and it was an unhealthy choice but delicious. Later, I read about the interior design concept of the bookstore on Designboom. It’s a multi-purpose bookstore, and the design team “conceived the bookstore floors as ‘a person with a system of acquiring knowledge while discovering oneself and the surroundings.’” Pretty cool, eh? The bookshop also exhibits a few antiques. One of the most intriguing being the 1869 Steinway Rosewood Square Piano on display! RAC coffee is a new restaurant that serves delicious French crepes/galettes and coffee. It’s on Anfu Road (安福路) in the French Concession. The smoked ham and the crunchy, cheesy toast are perfect together, and they got great coffee, too! Everyone knows about the Bund – It’s the no.1 tourist attraction in Shanghai. However, for those of us who live in Shanghai, the Bund is the place you avoid like New Yorkers avoiding Times Square. I’ve been searching for a tranquil spot close to the water for some time, and the West Bund almost qualifies! The only downside is that they don’t have any coffee shops you can chill at. Otherwise, it’s totally different from the touristy Bund, and it’s a perfect place for strolls, runs, and family time. They even have lockers and showers for runners! Shanghai is also hosting an international artificial intelligence conference (AIAAT 2018) this August, so the city is constructing new buildings, theatres, and parks along the river on the West Bund. I’m curious to see what life it will bring to the area! I became a Backstreet Academy ambassador! If you’re following me on social media, I’ve already announced this new role I undertook. However, I haven’t officially announced it here yet. Well, yes, I am now a Backstreet Academy ambassador! My first time learning about Backstreet Academy was in December 2017. I discovered their site by pure accident and booked experiences with them in both Siem Reap and Phnom Penh, Cambodia. 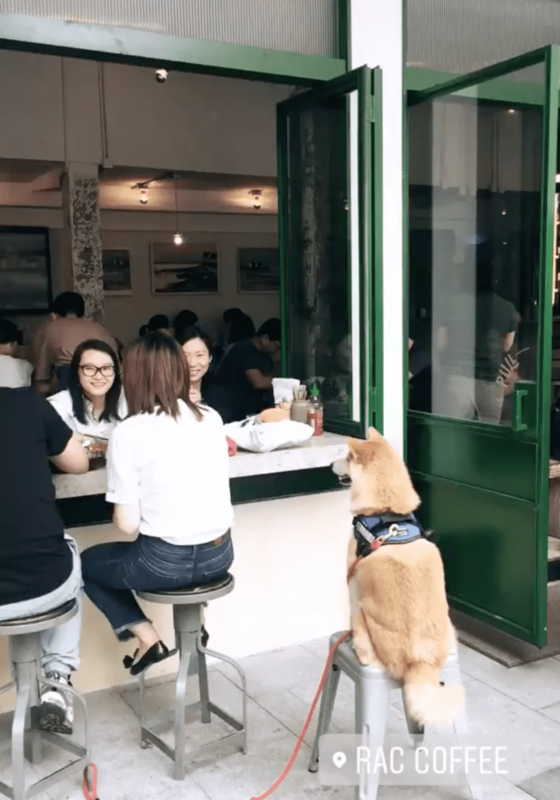 I fell in love with their concept as I also focus on human interaction when I travel. Since then, I’ve written and made some videos about our experiences. Little did I know, half a year later, that little step I took has flourished into a partnership. If you are travelling in Southeast Asia, make sure you check out their site to see if you fancy any classes or experiences they have to offer!